As one of Britain’s more fanatical monarchists, I am greatly looking forward to celebrating the Queen’s Diamond Jubilee – one of the very few genuine “once in a lifetime” events. I have vivid memories of driving to London on an old A-road during the Silver Jubilee celebrations of 1977, passing through village after village hung with bunting that must have been carefully put away after the Coronation, judging by the number of South African and pre-maple leaf Canadian flags on display. 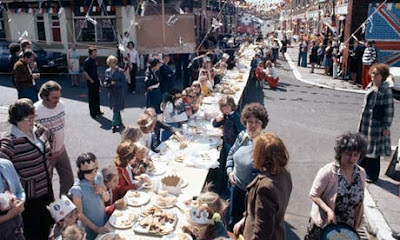 Now that's what I call a street party. Salford, 1977, according to The Guardian. 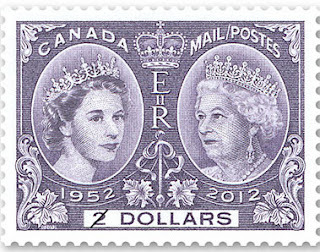 These may have finally succumbed to moths by the time of the Golden Jubilee in 2002, but the left’s eager predictions that the public would refuse to celebrate half a century of Elizabeth II turned out to be spectacularly wrong. The Mall in 2002. The Guardian predicted a total lack of public interest. My hopes are accordingly high for the week ahead, even if the weather forecast sounds dubious and we can no longer afford to turn out the Gold State Coach for a grand procession to St Paul’s. But will the positive impact on my personal morale be reflected across the nation as a whole? On the one hand, we have Sir Mervyn King warning that the loss of GDP caused by an extra bank holiday may be enough to tip the UK into recession for a further quarter. On the other, retailers tell us that they are looking forward to an £800 million spending spree that may partially make up for the thoroughly depressing 2012 they have endured so far. 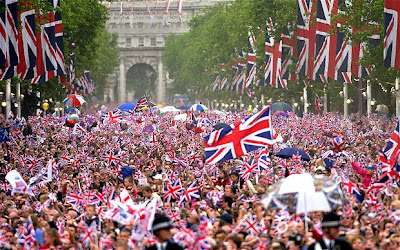 True, their other hopes are pinned on the generation of a “feelgood factor” by sustained good weather, a strong showing by England in the Euro 2012 football championships and a series of British triumphs in the Olympics. None of which looks massively more plausible than my decision to base my retirement strategy entirely on a big win in the National Lottery. Though I do at least usually remember to buy a ticket, thus raising my chances by a mathematically insignificant degree. 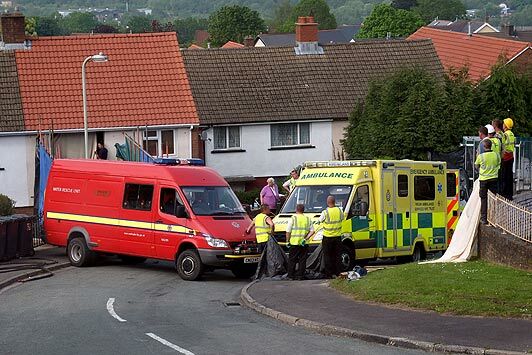 Above all, I greatly need some happy memories of the Jubilee to banish from my mind the defining image of 2012 in Britain so far: the team of 50 paramedics, firemen and police officers half demolishing a house in South Wales in a £100,000 operation to release a 63 stone teenager from her bedroom. It is hard to imagine the sheer dedication to gluttony that must have been required to achieve a weight gain on this scale. Indeed, the only positive spin I have been able to put on it is seeing some encouraging parallels with the Eurozone, where Greece similarly finds itself trapped in an impossible position as the result of years of overindulgence. It clearly won’t be easy to extricate it from its dilemma, but given the will and the resources perhaps it may yet be done. 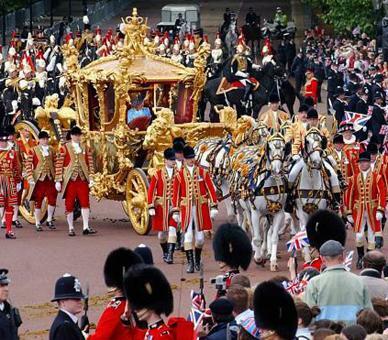 If not, who can tell what may await the Greeks and all the rest of us just around the corner? 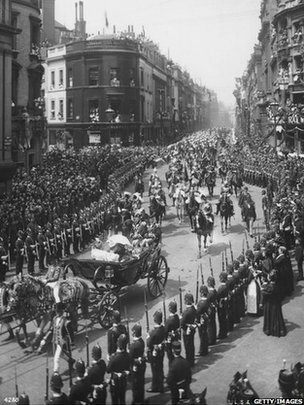 When Britain last celebrated a Diamond Jubilee in 1897, the country was at the apogee of its imperial power and could look back on 80 years of global pre-eminence, rising if unevenly distributed prosperity, and relative peace. You don’t have to be a big Downton Abbey fan to know what happened 17 years later. Today we may be sadly diminished as a power, but can similarly look back on more than 60 years of increasing wealth and the avoidance of large scale conflict. For the sake of our collective sanity, I suggest that we do not dwell too much on what may happen next, but simply reflect on our good fortune in having a head of state who has undoubtedly given us a much higher international standing than any politician would have managed. And while enjoying the cakes and ale, remember also the personal moderation for which Her Majesty has always been renowned, lest more of us ironically end up requiring a bulldozer to release us from our homes when this “great summer of sport” finally comes to an end.